In this issue: space piracy, multidimensional magic—plus, vote in our favorite science fiction buddies poll. 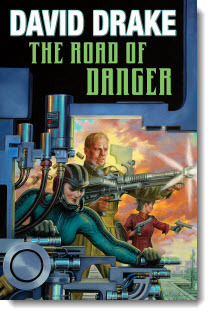 Leary and Mundy cross swords with a jealous admiral and are ordered to lawless regions where a highly effective rogue intelligence officer is plotting to destroy civilization. Of course it’s up to Leary and Mundy to put a stop to the madness. David Drake’s Republic of Cinnabar Navy saga continues. And don’t miss “The Roads to the RCN Series,” David Drake’s account of the birth and development of the Leary and Mundy saga. Lyonesse: a world of magic where a dark power struggle is underway between warring wizards. Prophecy speaks of a Defender who will set things right, but young Meb doesn’t feel called to be the Defender of anybody. Yet as the legions of Shadow Hall gather, Meb cannot deny her magic skill to this world’s beleaguered people. And if she can hold out, the Dragon Fionn and magic dog Dileas are fast on the way to reinforce her. Then things will really get interesting. The sequel to Dave Freer’s groundbreaking fantasy epic, Dragon’s Ring. Get Your Battle Armor On! Armor up for a metal-pounding explosion of action, adventure and amazing speculation by topnotch writers. It’s an techno-plated clip of hard-hitting tales featuring exoskeleton adventure with fascinating takes on possible future armors ranging from the style of personal power suits seen in Starship Troopers and Halo to the servo-controlled bipedal beast-mech style encountered in Mechwarrior and Battletech. Introduction by Orson Scott Card. Leary and Mundy? Honor and Nimitz? R2 and C3PO? Or are you more the Xena and Gabrielle Type? Who is your favorite buddy team up in science fiction and beyond? 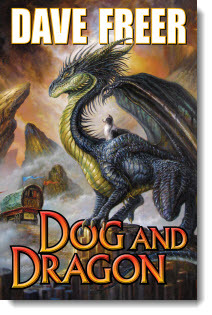 Vote in the poll and enter the contest for free signed editions of both David Drake’s new RCN series entry The Road of Danger and Dave Freer's Dog and Dragon. The definitive third volume entry in this omnibus edition of the classic science fiction of A. Bertram Chandler and his John Grimes stories. Contains novels The Anarch Lords, The Last Amazon, The Wild Ones, and Catch the Star Winds. 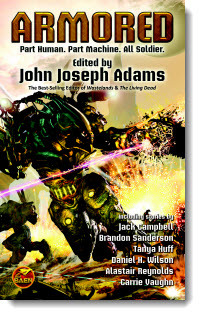 Number one in the three-volume collection of the legendary John Grimes of the Galactic Rim series. Lieutenant John Grimes may be green from the Academy, but he’s a heroic starship captain in the making, if not quite a prepared as he believes himself to be. But there is one quality Lieutenant Grimes always possesses: an appetite for adventure. 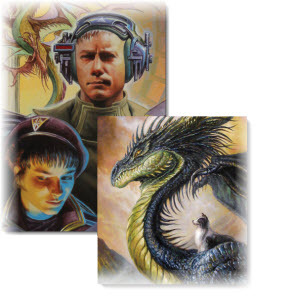 Don't forget to check out the latest Ebook releases, and Baen.com free fiction: Dave Freer’s “Like Ghost Cat and a Dragon’s Dog,” here. Plus, free nonfiction: David Drake’s “The Roads to the RCN Series,” here. 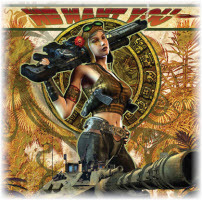 For upcoming Baen author appearances, check here.